SUPER LIGHT WEIGHT, THIS PACKABLE SLIP ON HAVE A EDGY LOOK, AND TRAVEL SMART FEATURES. 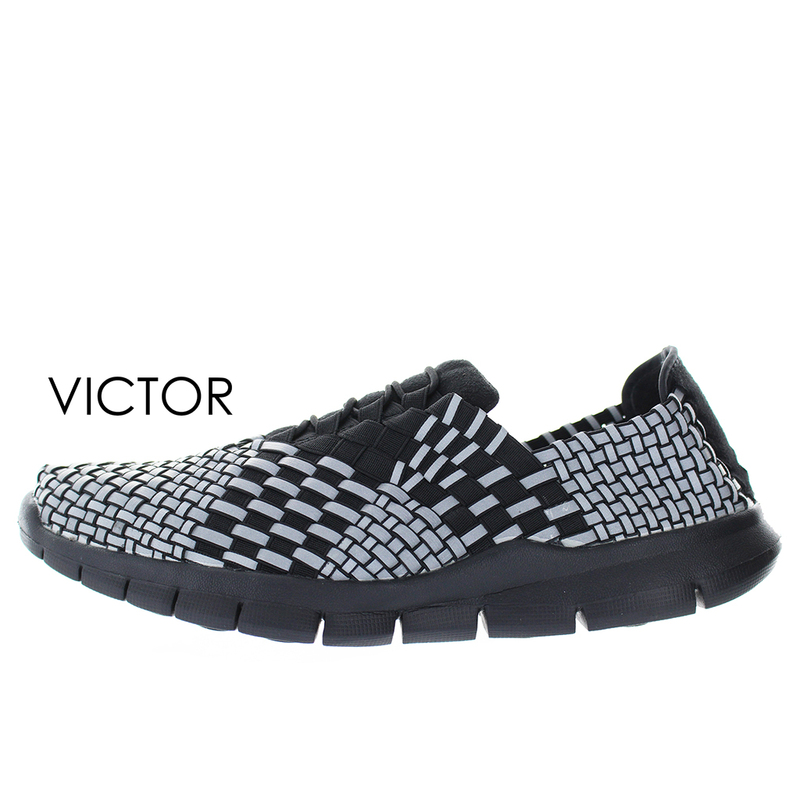 HAND WOVEN ELASTIC UPPER THAT FLEX WITH EVERY STEP, A ROOMY TOE BOX AND DURABLE RUBBER OUT SOLE TREADS. THE INNER SOLE IS CUSHIONED WITH MEMORY FOAM AND HAS A BUILT IN ODOR AND BACTERIA RESISTANCE.